Since the 2015 release of Drab Majesty’s debut “Careless”, and the release of the acclaimed sophomore album “The Demonstration”the following year, artist Deb Demure and collaborator Mona D. have firmly established themselves amongst the pantheon of dark synth-pop greats, establishing a devoted fan base worldwide with their singular hypnotic sound and mysterious, constantly-evolving presence. Pre-order is available now here! Via Q Magazine, Doves has leaked that vinyl reissues for Lost Souls, The Last Broadcast, and Some Cities are coming soon. The current expected release date is May 31. No mention of why Kingdom of Rust isn’t mentioned which I find interesting because it supposedly doesn’t sound as nice as the other three. The new album can be expected next year, 2020. The National has announced ‘I Am Easy To Find’, a short film directed by Mike Mills starring Alicia Vikander, and ‘I Am Easy To Find’, a new album out May 17th on 4AD. The former is not the video for the latter; the latter is not the soundtrack to the former. You can watch the trailer HERE and pre-order the album now. Film release details to follow. The first album single ‘You Had Your Soul With You’ features vocals by the amazing Gail Ann Dorsey. Click HERE to listen. A world tour begins this June, with Courtney Barnett and Alvvays opening at many of the shows. In only one week, Bob Mould returns with an entirely new catalogue of music on his full-length album Sunshine Rock, available February 8th via Merge Records. The record features the recently released tracks ‘What Do You Want Me To Do‘ and title-track ‘Sunshine Rock‘. Today, Mould shares his latest single ‘Lost Faith‘: a socially conscious song that sheds light on the mental friction caused from a mixture of facts, fiction, and biased opinions dispersed in the media. “The video follows the protagonist who is trying to find solace and anonymity in an increasingly corrupt world filled with paranoia and misinformation. We see him being questioned about his real intent, apprehended by a fictitious yet familiar looking border security, then interrogated about the life he left behind. PledgeMusic has always been committed to serving artist and fan communities. It was established by artists and was born of a need to change the way in which the traditional music industry operated. It was designed to help artists and their teams at every level. That said, we deeply regret that recently we have not lived up to the high standards to which PledgeMusic has always held itself. We acknowledge that many artists have and continue to experience payment delays. These delays to artists are unacceptable–not only to them but to us. While the company has made progress, we still haven’t reached our goals. PledgeMusic has been in discussions with several strategic players in the industry who have an interest in the PledgeMusic platform. We are evaluating a number of transactions with those potential partners, and we plan to announce details of this in the next 60 days. It is our expectation that payments will be brought current within the next 90 days. As of now, we are working through the backlog of correspondence with artists and teams to clarify their payment plans and your patience is appreciated as we complete this task. Furthermore, we are also working to address the fulfillment issues that some of our consumers have experienced in turn, often as a direct result of artist payment issues. Despite the unfortunate circumstances, the passionate inquiries and messages of support on social media from fans are appreciated, acknowledged and understood. We are deeply sorry that we have not lived up to the high standards to which PledgeMusic always held itself. We are committed as a company of passionate music lovers to get things back on track as quickly as possible. PledgeMusic co-founder Benji Rogers has announced he will be returning to the company on a short-term basis. Oxford indie/math rock band Foals have announced a new 2-part album called Everything Not Saved Will Be Lost. Part 1 is available for now here. Part 1 will be released on March 8th. Part 2 will be released Autumn 2019. We couldn’t be more excited for you to hear all the work we’ve poured ourselves into over the past 18 months. The albums which will be coming out are two halves of the same locket. They can be listened to and appreciated individually, but fundamentally, they are companion pieces. Musically, we pushed ourselves to the furthest limit. Lyrically, the songs resonate with what’s going on in the world at the moment. These songs are white flags, or mirrors, or attempts to work through the confusing times we live in… each in a different way. Presale begins tomorrow, 22 January at 10 AM local. The Twilight Sad’s James Graham will appear on Reddit’s IndieHeads page today to answer questions. Also of note is they announced another US tour for May, with a couple Canadian dates sprinkled in. London based Fews is set to release their sophomore album, Into Red, on March 1st, 2019. They’ve released a couple tracks such More Than Ever, linked below. Their 2016 debut Means was released by label Play It Again Sam out of Brussels. Their style can be described as post-punk and Krautrock-inspired. 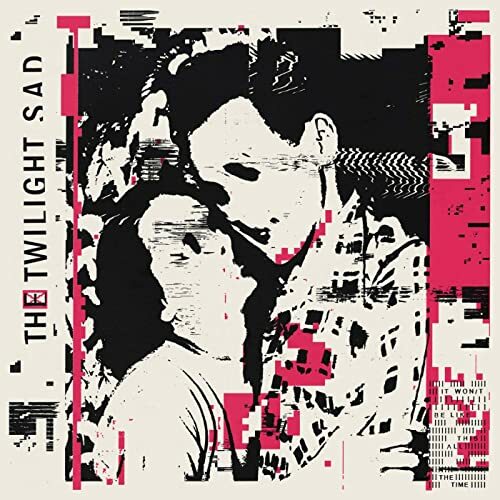 Alternapop favs The Twilight Sad are releasing their new album, the band’s 5th full-length, It Won’t Be Like This All The Time, on January 19th. It was announced last fall and they’ve been slowly releasing tracks from the upcoming album. This will be their first album on Mogwai’s Rock Action Records out of Glasgow. The album is a welcome progression. It’s definitely a TSS album but they obviously experiment enough to keep it fresh. It’s a little more keyboard heavy than previous albums while maintaining a rock feel. 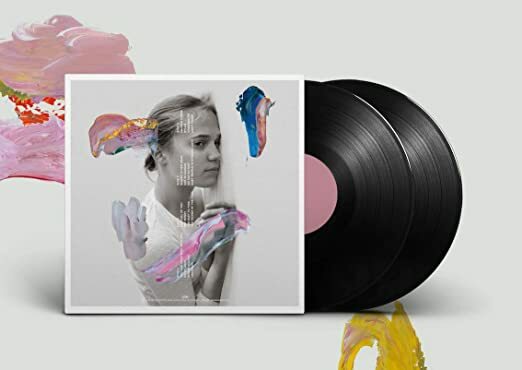 Andy utilizes an E-Bow (electronic string driver) which moves the sound a bit away from the shoegaze sound of prior albums and the result, along with the overall production, is likely a somewhat more accessible sound. The album’s strong computer generated, fractured artwork is “to represent fractured memories”, per Graham. The have consistently been one of our more favorite bands to see live due to their genuine passion and appreciation for both music and their fans. Around 1991 an old friend made a mixtape for me to introduce me to new music. This tape contained songs from bands from The Pixies to the Lemonheads, and many others. The Blake Babies were a 3-piece with Juliana Hatfield, John Strohm, and Freda Love. This leads me to the announcement from American Laundromat Records that they are re-issuing the Blake Babies compilation, Innocence And Experience, on vinyl. It’s up for pre-order now. There are several color choices and you can also get a test pressing. It’s been remastered by Sean Glonek. It contains other great Blake Babies tunes such as Lament, Cesspool, and Girl In A Box. American Laundromat has also recently released Juliana’s latest solo album and an album covering Olivia Newton-John songs.